Arrrrrgh! The inhumanity! They tagged a Warbonnet. 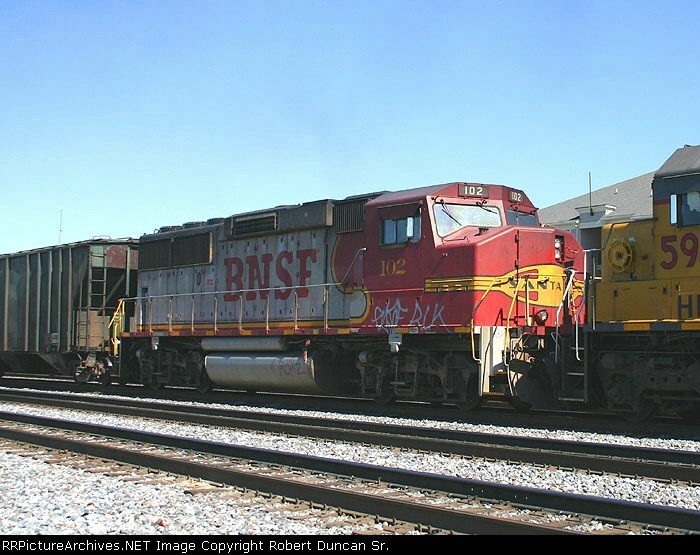 Date: 3/5/2007 Location: Atlanta, GA Map Views: 401 Collection Of: Robert Duncan Sr.
Locomotives: BNSF 102(GP60M) Author: Robert Duncan Sr.
Picture Categories: This picture is part of album: Locomotives of the Burlington Northern Santa Fe Railroad.